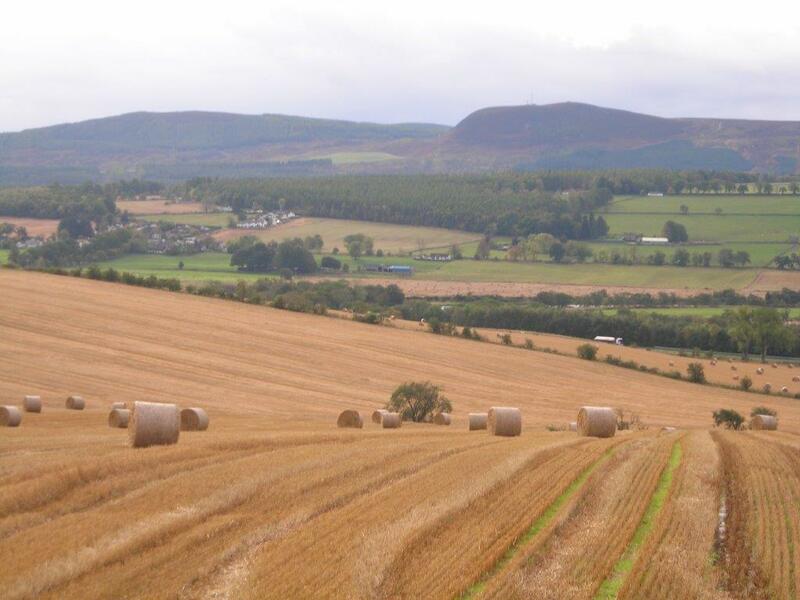 The Scottish Tenant Farmers Association is calling upon the Scottish Government to exempt agricultural tenancies from a new land tax which will penalise new entrants by levying a tax on new lettings and the assignation of existing tenancies. Research conducted on behalf of STFA has confirmed that one of the unintended and little understood consequences of the Land and Business Transaction Tax (LBTT) is the impact it will have on the agricultural letting market. LBTT was introduced in April 2015 to replace Stamp Duty Land Tax with a simpler and fairer way of levying tax on property sales and other transactions. It is the tenant’s responsibility to make an LBTT return if the lease period is for more than 7 years, or if the tenant ‘buys’ the lease for more than £40,000; and/or where the rent is of a high enough level to bring it within the LBTT threshold for leases (£150,000). Commenting on the news, STFA Chairman Christopher Nicholson said: “The impact of this land tax on the tenanted sector has only just become apparent now that LBTT is in operation. The new tax regime affects leases granted after 1st April 2015, usually 10 year minimum Limited Duration Tenancies, but a 1991 lease being re-granted for tax purposes will also be liable. So tenants should be wary of a landlord’s request for a new 1991 lease to address his tax concerns. “The new assignation proposals in the Land Reform Act for 1991 tenancies may also be affected. As it stands, it is possible that an assignation for value will trigger an LBTT liability. The incoming tenant is, ultimately, paying for an interest in land and therefore, a notification to Revenue Scotland seems likely to be required if the consideration for the assignation is above the £40,000 threshold. He would then be responsible for the return and the LBTT liability and thereafter the three-year returns. We have already seen the assignation of a 1991 tenancy take place where the incoming tenant’s purchase price for the lease is greater than the £150,00 threshold and he faces a tax liability on top of the price he has paid for his new tenancy. “Tenants taking on a long-term LDT will find themselves in even greater difficulty as they will be faced with being taxed on the accumulated rent over the period of the lease. For example, a 20 year lease of a 400ac farm with an annual rent of £15,000 would create rental payments over the 20 year period of £300,000 giving rise to a tax bill of over £4,000 to be paid at the start of the lease. Rent rises over the period of the lease could give rise to subsequent tax demands. “This amounts to penal treatment of the let sector and is obviously not what was originally intended. It flies in the race of government policy to encourage longer-term tenancies and the transfer of existing tenancies to new entrants and developing farmers. 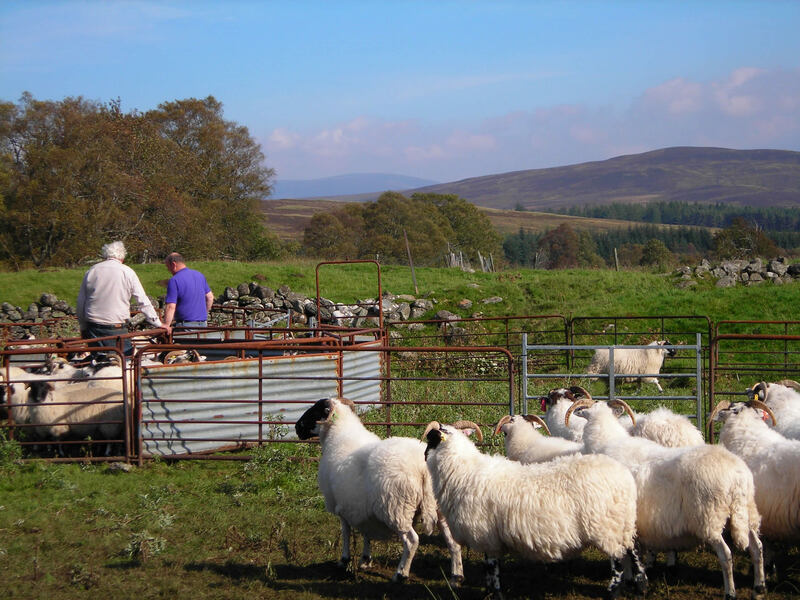 STFA has already brought this to the attention of the Scottish government and will be seeking the support of fellow stakeholders to lobby for an exemption for the agricultural tenanted sector. The potential to grow the tenanted sector as support rules tighten and farming becomes less attractive to landowners in the more marginal areas, is one of the of the few silver linings in the Brexit cloud and it would be a spectacular own goal if government tax policy accidentally killed this prospect dead in the water. The Scottish Tenant Farmers Association has welcomed the announcement from Buccleuch Estates that the Estate is in advanced discussions with a number of tenant farmers on Limited Partnership agreements with a view to either them purchasing the farms they rent or converting the Limited Partnership tenancies to alternative long-term arrangements. This announcement follows concerns raised by STFA regarding the reports that some of Scotland’s largest estates were taking steps to bring Limited Partnership tenancies to an end, often with a view to replacing them with trees. Limited Partnership tenancies were originally devised as a way of circumventing security of tenure and between the 1980s and the creation of limited duration tenancies in 2003 they were just about the only type of tenancy available. There are now less than 400 of these tenancies still in existence, comparted to 1200 in 2003. LP tenancies were either let for a set period of time, occasionally up to the retirement date of the tenant, or for an initial period which was either renewed when it came to an end for a further defined period or, more commonly the tenancy rolled on under tacit relocation on a year to year basis. Tenants holding their leases under tacit relocation will usually be those who will have occupied the farm for longest and have invested the most, but are also the most vulnerable. Commenting on the situation STFA Chairman Christopher Nicholson said: “STFA has been concerned about the future of tenants in Limited Partnership tenancies and the vulnerable position in which they find themselves and we share the views of the AHLRG and the Tenant Farming Commissioner that this as an unsatisfactory situation and discussions should take place between landlord and tenant to ensure that there is a long-term approach to land management leaving ample time to discuss the aspirations of both parties before decisions regarding the future of the farm are made. “We appreciate that many landowners will want to move Limited Partnership tenancies on to a more satisfactory basis, but we have been concerned that some of the actions taken have been insensitive and on occasion callous with little consideration for the tenants concerned and scant regard to industry agreed guidlines. We are therefore pleased to hear that Buccleuch Estate is taking steps to enter into discussions with their tenants to agree a mutually beneficial way forward for their farming businesses in line with Guidance issued by the Interim Government Adviser, andrew Thin, soon to be incorporated into a Code of Practice by the Tenant Farming Commissioner. “Buccleuchs decision to sell some farms and to grant longer term tenancies to others is a constructive move and welcome. STFA hopes that other landlords will follow suit in their dealings with Limited Partnership tenants, abiding by the codes of practice which lay out a procedure which should be followed when initiating discussions about bringing a LP tenancy to an end. In particular, if partnerships are to be dissolved or tenancies brought to an end, formal notices should not be served before discussions have taken place and attempts made to reach a mutually agreeable solution. The Scottish Tenant Farmers Association has welcomed the news that the Scottish Government has appointed a contractor to conduct rent modelling work for the new rent test being applied to 1991 tenancies and available to Limited Duration Tenancies. The contract has been awarded to Savills and will also involve Hamish Lean and Watson, both of whom are well known practitioners, experienced in the conduct of rent reviews. The 2016 Land Reform Act has radically changed the way in which rents are assessed, moving from a market driven approach to one based on the productive capacity of the holding. Although the new formula is enshrined in statute, the Act requires it to be tested on the ground to make sure it will be achieve its purpose of delivering a fair rent, before the secondary legislation, implementing the changes, is passed by parliament. STFA has been critical of the delay in getting the rent modelling work underway as the start date of the new rent review system has now moved from late 2018 to late 2019 which means that the rent reviews may not be determined under the productive capacity until 2020. Commenting on the news STFA Director Angus McCall said; “We are pleased to hear that a contractor has been appointed and rent modelling work will begin over the next few weeks. We are breaking new ground and tenants will soon be subject to a completely new rent test which will, in the longer term, prove to be a fairer, more transparent and more objective way of calculating rents. This is a major change of direction and it is important that as many potential hiccups as possible are identified in the modelling exercise before it is rolled out for general use. “We are, however, surprised to learn that Savills have been appointed as the main contractor for this work as the firm is known to act for a large percentage of Scotland’s largest landlords and many tenants will have had their rents reviewed by Savills’ agents. These concerns have been raised with Cab Sec Fergus Ewing and we have been reassured by the news that Hamish Lean and Watson Bell, both of whom are STFA recommended agents, will be involved in the process to sense check Savills’ work from a legal and valuation perspective. We have also recommended to the Cab Sec a stakeholder monitoring group should be set up to provide further assurances of transparency and impartiality. 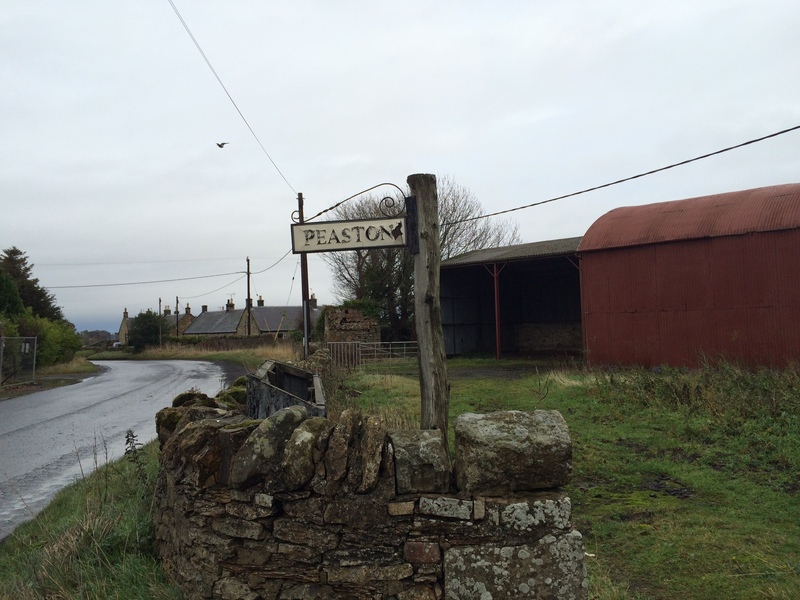 The Scottish Tenant Farmers Association is alarmed to hear reports of some of Scotland’s largest estates taking steps to bring tenancies to an end to replace tenant farmers with trees. Limited Partnership tenancies on upland units are especially vulnerable and despite the Guidance put in place by Andrew Thin, the former Independent Adviser on Tenant Farming to the Scottish Government, it would seem that these tenancies are being terminated with little consideration of the tenant farming families to be displaced. Commenting on the situation STFA chairman Christopher Nicholson said: “The trees versus tenants debate is set to reignite. For a few years we have been seeing upland and hill farms coming out of tenancies frequently being planted with trees and to make matters worse, we are now seeing some of the large estates bringing Limited Partnership and Limited Duration Tenancies to an end to make way for trees. 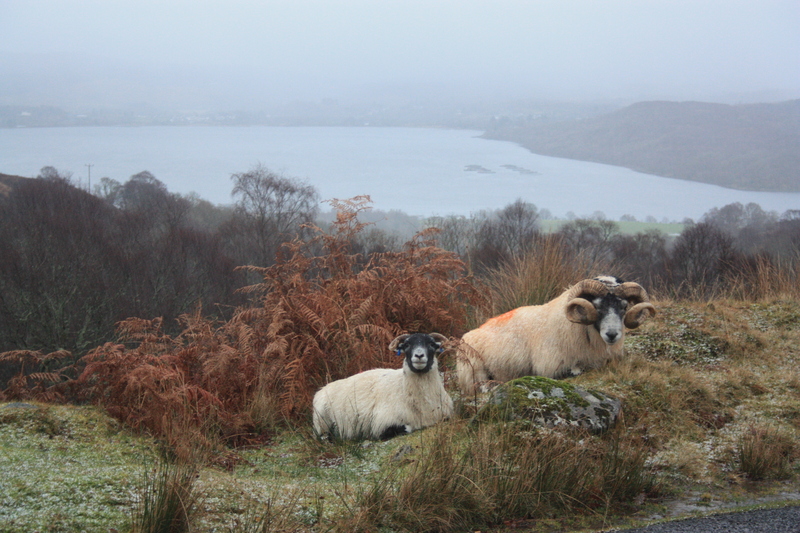 “This trend is not new and six years ago the trees versus sheep debate was instrumental in Cabinet Secretary, Richard Lochhead setting up the Woodland Expansion Advisory Group to manage woodland expansion targets in ways that would complement and integrate with other land uses, especially agriculture, wherever possible. Their report set woodland expansion targets at 10,000ha per year to 2022. It also recommended the type of tree to be planted and where tree planting should take place. Amongst other things, the report also looked at providing for better consultation with other land users and local communities. “For a variety of reasons, mainly associated with grant funding, woodland creation targets have not been met. 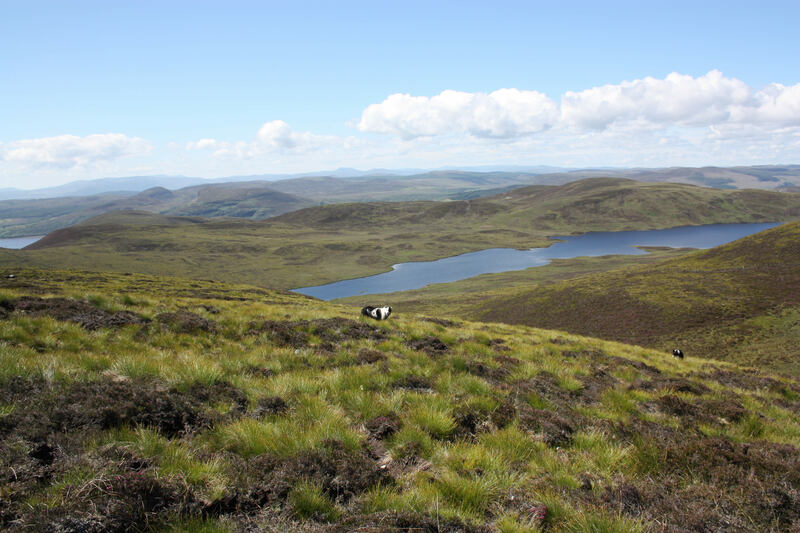 Consequently the Scottish Government has recently announced an increase in targets from 10,000ha in 2020 to reach 15,000ha per year in 2025 and onwards. There have also been promises of improved funding and greater prospects for the forestry industry post Brexit. This has obviously given the forestry industry a new boost and is stimulating landowners to plant trees, raising again the dilemma of finding suitable land for trees without conflicting with agricultural production. “Many landlords now view forestry as an attractive alternative to tenant farming and the losers in this drive towards tree planting are the tenants and their families whose tenancies are being cut short leaving them to find new homes and occupations. In many cases there is evidence of land agents ignoring the industry code of practice, put in place by Andrew Thin, the former Independent Adviser on tenant farming which creates a structured process to agree a mutually beneficial way forward including the use of professional mediation where agreement proves difficult to find. “Most of these tenants will be in mid-career and many will also have sons or daughters who would like to follow in their footsteps. There are being forced out of their farms with scant consideration of how the loss of home and livelihood will affect their lives. This is quite callous treatment of tenants most of whom will have farmed the land for well over twenty years. The Scottish Tenant Farmers Association met yesterday with the Scottish Whisky Association to discuss concerns over the reduction in availability of distillery by products for animal feed, such as draff, pot ale syrup and dark grains. The current shortage of what has been a valuable source of protein and a staple ingredient of animal feed for decades, has come about as a consequence of the increasing use of anaerobic digesters and biomass plants to convert by products into energy. Commenting on the meeting, STFA environment spokesperson and Glenlivet farmer, Alastair Nairn said: “We had a constructive and positive meeting with representatives of the Scottish Whisky Association and NFUS president, Andrew McCornick and had a frank discussion about our concerns over depleted supplies of distillery by products. This gave us all the opportunity to develop a greater understanding of each other’s position and the requirements of our respective industries. We were pleased to hear the SWA express its support for the livestock industry and the importance in achieving a balance between the supply of animal feed and the demand from livestock producers. The Scottish Tenant Farmers Association has welcomed the Tenant farming Commissioner, Bob McIntosh’s call to landlords and tenants to consider the impact of reviewing farm rents rent until the implications of Brexit are clearer. STFA has already warned its members to take account of the Brexit factor in rent negotiations and has reminded all those engaged in rent reviews that, although farm commodity prices have improved in the short term, following the EU Referendum result, the real challenges lie ahead. The rent review period is 3 years, so rents set in 2017 cannot be reviewed until 2020, by which time the UK may have left the EU and the Single Market if Article 50 is triggered as planned in 2017. Commenting on the intervention, STFA Chairman Christopher Nicholson said: “The TFC’s call to think again about rent reviews is a commonsense suggestion and a sign of the gravity of the situation. Previous calls for a rental standstill from STFA have been rejected by landlords and their agents, however the TFC has no axe to grind save a desire to see fair play and this move must be taken seriously by all parties. “The agricultural industry faces huge uncertainty as we contemplate leaving the EU and there is little sign that the UK government has any idea how we will cope with the loss of export markets and the potential imposition trading tariffs on top of much reduced support payments. Farm Business Incomes seem to be in freefall with a 48% fall in 2015/6 representing a 75% decrease in real terms in farm incomes since 2010/11. In these circumstances there can be no justification for any increase in farm rents. “Good practice codes have been encouraging rent negotiations to take place in good time before the term date, consequently, STFA would also call upon any landlords and tenants who have already agreed an increase in rent for this May to shelve the new rent in line with the TFC’s statement. The Scottish Tenant Farmers Association is urging landlords and tenants to take account of the Brexit factor in negotiating rent reviews. With the Spring rent review season underway STFA is reminding all those engaged in rent reviews that, although farm commodity prices have improved in the short term following the EU Referendum result, the real challenges lie ahead. The rent review period is 3 years, so rents set in 2017 cannot be reviewed until 2020, by which time the UK may have left the EU and the Single Market if Article 50 is triggered as planned in 2017. Writing in the STFA Spring Newsletter, STFA chairman Christopher Nicholson said: “The UK is facing huge uncertainty over the next few years as we head out of the EU. At the moment we are enjoying a short-term boost in commodity prices on the back of the drop in Sterling, but this is likely to be negated by rising input costs. Land prices appear to levelling or even falling due to Brexit uncertainties, both north and south of the border, and the devaluation of sterling could create a period of higher inflation when the profitability of agriculture, and land prices, are heading in the opposite direction. Rents in England seem to be falling and we would expect to see the same thing happening in Scotland. “Tenant farmers should understand where the main markets for their produce are, and the likely exposure to price changes if the UK has restricted access to the Single Market. For commodities that rely on an export market, the risks are greater if new trade agreements are not in place by 2019. 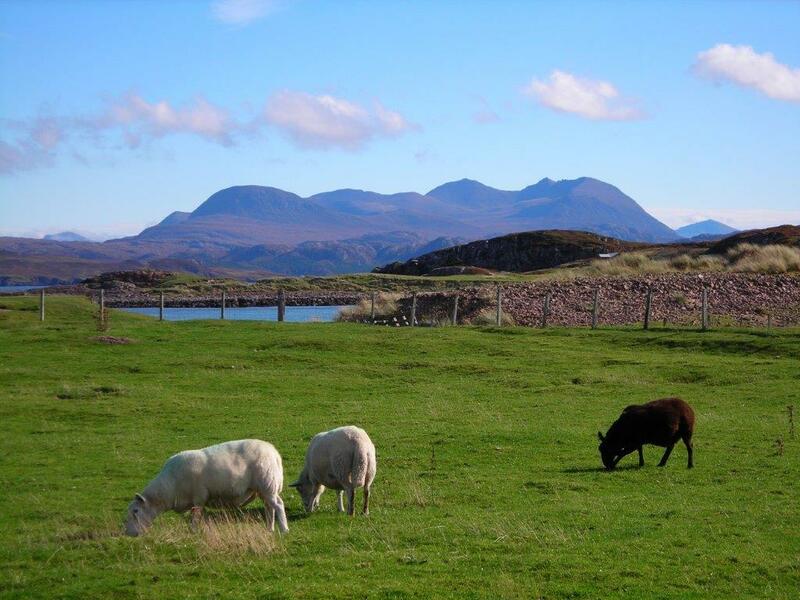 Of the main commodities produced by tenant farmers in Scotland, lamb is most reliant on export markets, and there is the further uncertainty over the future level of New Zealand lamb imports. Already STFA are hearing from some tenant members who are cutting back their flock numbers to reduce their market exposure post 2019. “Prior to rent reviews, tenants should look at the types of commodity produced on their farms, how reliant they are on export markets, and realise the risks involved post 2019. In short, lamb is most at risk, cereals and milk the least at risk, and beef somewhere in between. “Brexit will also impact on Pillar 1 and Pillar 2 support payments. While the Basic Payment Scheme and Greening Payments have been guaranteed to 2020, LFASS payments are likely to see a big reduction in value from 2018, and there is no guarantee that funding will be available for new agri-environment schemes or schemes due for renewal. Tenant farmers involved in the long running Salvesen Riddell debacle have scored a partial victory in their legal case against the Scottish government for compensation following the loss of their farms. The Court of Session ruled this week that the Government were liable to compensate the tenants “.. for loss directly arising from reasonable reliance upon defective legislation passed by it, which was then remedied by further legislation which interfered with the individuals’ rights”. Lord Clark rejected the tenants’ claims based on the value of the tenancy and but accepted that compensation should be paid in respect of specific losses directly sustained by the tenants who had acted in good faith on defective legislation and “for frustration and inconvenience”. Lord Clark also pointed out that both sides had agreed that the case had been brought to establish the principle of whether or not the tenants were entitled to compensation. As a consequence he was not in a position to quantify the scale of the compensation which he noted would have to take several factors into account, such as any capital investment they may have made in the holdings balanced by the fact that they had enjoyed an extended tenure beyond which they would have originally expected. Commenting on the court ruling STFA director Angus McCall said: “This is an incredibly complex case and it will take some time for the tenants’ legal team to evaluate Lord Clark’s ruling. What has been made clear, however, is that the tenants are due some compensation for the harm caused to them by the flawed legislation instigated by the Liberal/Labour coalition and passed by the Scottish parliament 14 years ago. The compensation due will obviously be assessed on a case by case basis and should reflect specific losses sustained by the tenants combined with a sum to compensate for the stress and heartache caused since the Remedial Order. Unfortunately Lord Clark makes no mention of the unnecessary suffering caused by the mishandling of the mediation process which never got underway until it was too late. If mediation had been available in the immediate aftermath of the remedial Order, when it should have been, it is highly that, some landlords and tenants would been able to reach agreement, with the government stepping in to assist where agreement was not going to be forthcoming. In summing up, Lord Clark has reserved opinion on “… whether the application of those principles will or will not give rise to a sum being due to the qualifying general partners. When that decision is reached it will also determine whether or not there has been a violation of the A1P1 rights of the qualifying general partner petitioners. I therefore reserve my judgement on that matter until the next stage in these proceedings”. The time must now be ripe for the Scottish Government and the affected tenants to engage in mediation and reach a mutually agreeable settlement which will take away the need to spend yet more time and money in litigation where the only beneficiaries will be the legal profession. The Courts have established the extent of the government’s liability towards the tenants, there is no legal impediment to talking to the tenants so, let’s just get on and settle the matter and let the victims of this long running and tragic saga get on with their lives. 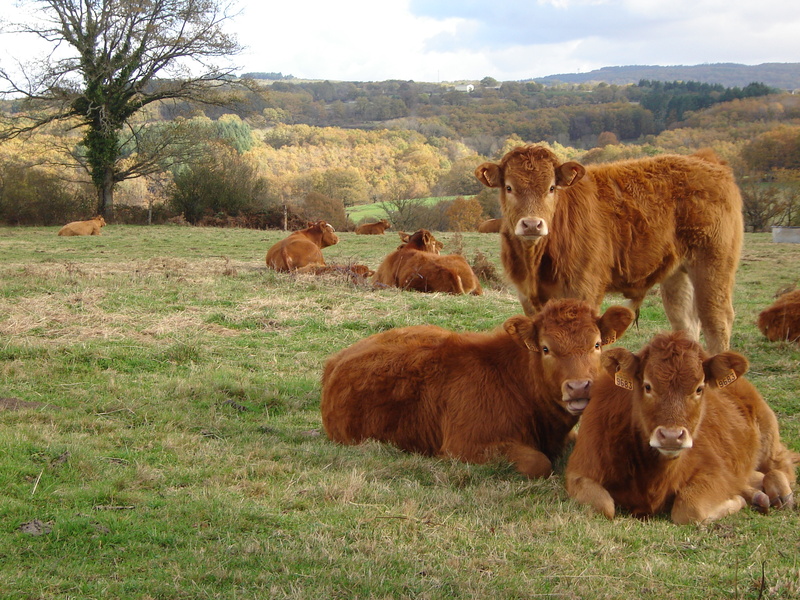 The Scottish Tenant Farmers Association is repeating its warning to government that the headlong drive to produce renewable energy from by-products of the distilling industry through Anaerobic Digesters and Biomass plants will cause severe damage to the beef industry. The supply of distillery by-products, draff, pot ale syrup and dark grains, which beef and many sheep systems in marginal areas have relied on for decades as a reliable source of GM free protein, is now at risk. 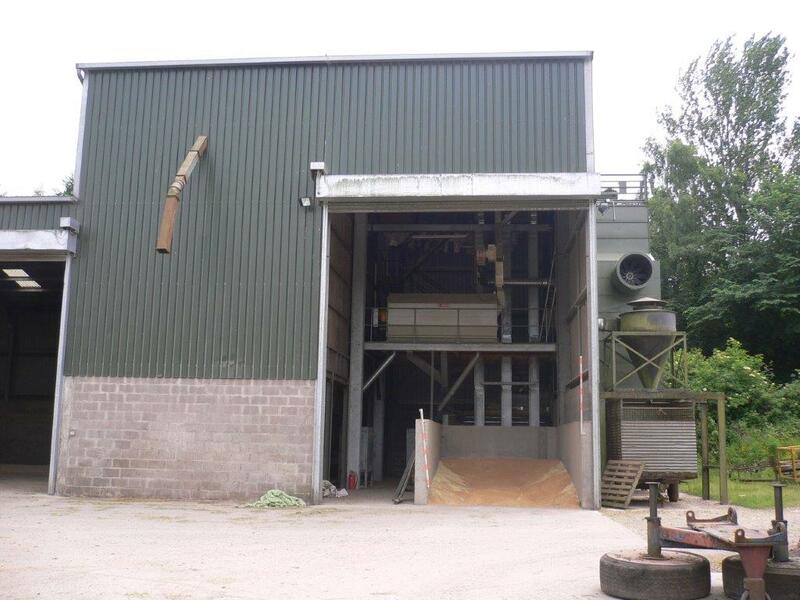 The proliferation of AD and biomass plants over the last few years severely limits the supply of this feed source as distilleries divert their by-products towards renewable energy, encouraged by significant financial incentives from government. Draff has doubled in price and is in short supply and dark grains, which are a staple ingredient of most compound feeds, now have to be hauled from the central belt and there are doubts as to how long this source will be available. 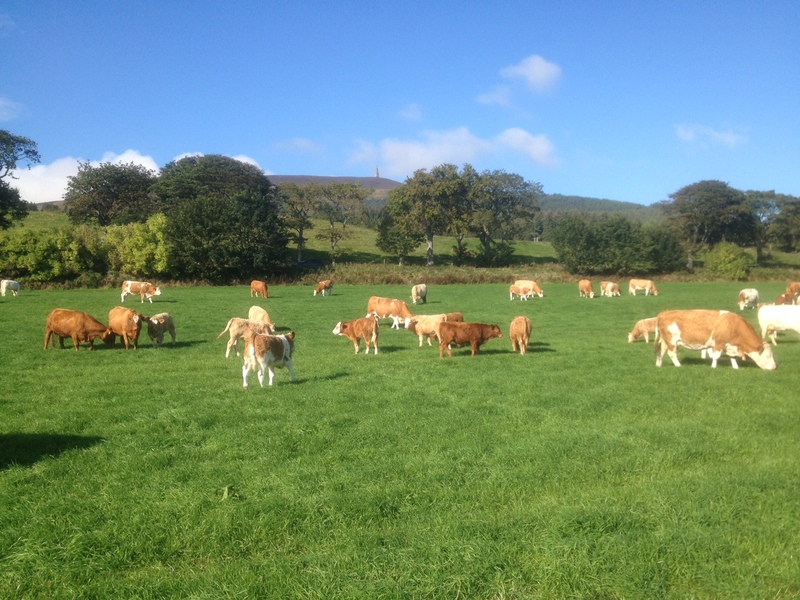 North-east livestock farmer and STFA spokesperson on the environment, Alastair Nairn said: “It is not just local farmers who will miss sourcing home grown protein for their livestock on their doorstep, but this is now setting alarm bells ringing amongst the animal feed industry. The issue was discussed at yesterday’s meeting of the Agriculture and Climate Change Stakeholder Group where our concerns were shared by representatives of the feed industry. “Unfortunately we are trying to close the stable door after the horse has bolted. It is more than 5 years since we highlighted the value of distillery by-products and warned the government of the damage that would be caused if supply became restricted. In 2012 a government commissioned report by SRUC predicted that the expansion of whisky production would ensure a plentiful supply of draff and dark grains. This has proved to be wildly inaccurate. The explosion of AD and biomass over the last few years has all but decimated the supply of draff locally and dark grains now have to be hauled from the central belt. “The growth of AD plants has created its own problems with a vast quantity of digestate (waste from the AD process) now having to be spread on grassland. As yet, farmers have no real idea of the long-term implications of spreading this waste and how it will effect the chemical composition of soils, trace elements and available nutrients. STFA supports the principles behind the Scottish Governments Climate Change Plan and its attempts to create a circular economy making use of anaerobic digestion and other methods to reduce emissions and turn waste products into renewable energy. However, controlling emissions should not be looked at in isolation and there must be a proper assessment of the impact that this policy may have on livestock farming and the knock-on effect on the environment and rural communities. Far from being waste, distillery by-products are in fact a valuable source of protein in animal feed and restricting supply will harm livestock production, particularly in the beef sector. STFA is also concerned that the increasing change of use of large areas of arable land from food production to energy crops will damage the agricultural economy in some areas and will restrict opportunities for the tenanted sector and new entrants to farming. STFA has welcomed the government’s commitment to investigate the value of renewable energy production from distillery by products in terms of its contribution to mitigation of climate change and the long-term impact it will have on livestock production and the rural economy. In the interim, STFA is calling for a planning moratorium in granting permission to build any more large scale AD or Biomass plants before more damage is caused to the livestock sector.